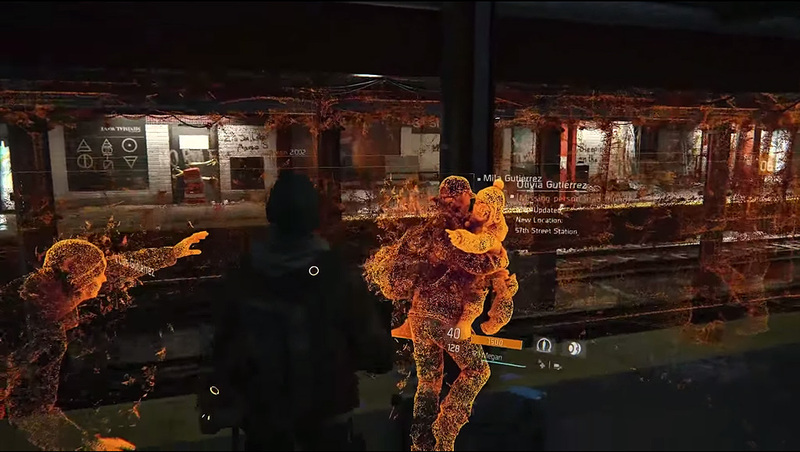 The Evidence Correlation Holographic Overlay (ECHO) consists of data mined from phone calls, surveillance cameras as well as discarded smartphones and is part of the agent’s basic equipment in Tom Clancy’s The Division. The visualization of the ECHO happens in form of a 3D hologram of prior moments with orange dots. Moreover, it can be accompanied by a sound recording. The following video and 3 screenshots show the functionality of the ECHOs, how the projection works and what information can be gained. 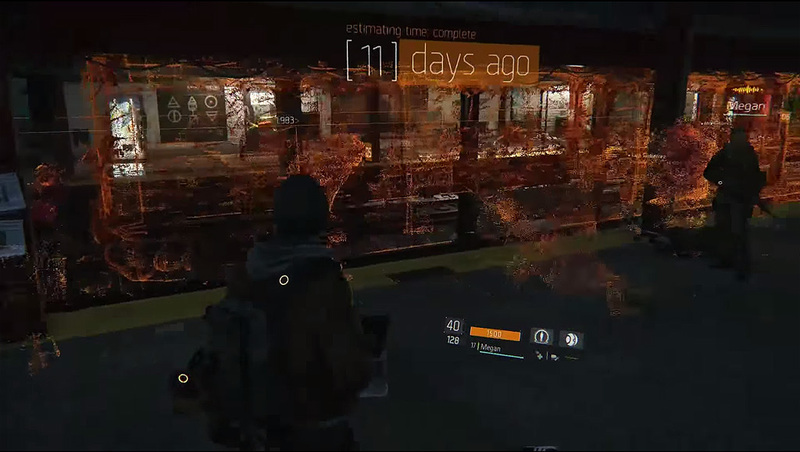 Players can walk through this slightly transparent structure, which provides insightful information of a specific event when activating it through the player’s smartwatch. You could also earn experience points by inspecting the ECHO, what can be seen in the previous example (2000 XP). 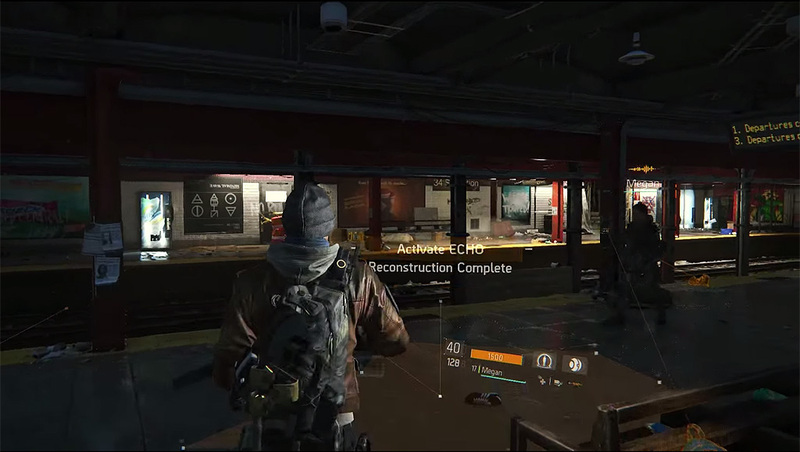 Furthermore, there can be notes about side missions or hidden items as well as an access point for the fast travel system. 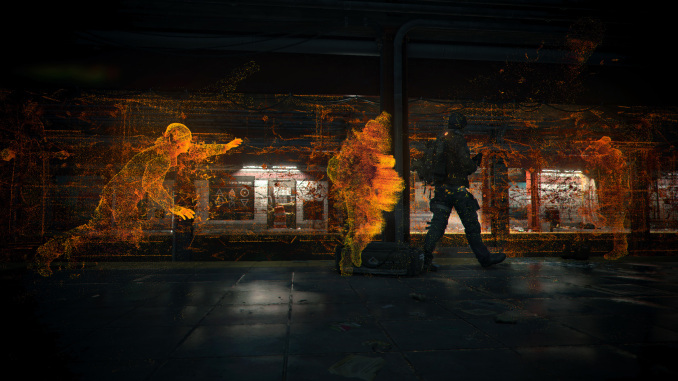 The holograms are located in several districts of New York City and work as a story-teller.